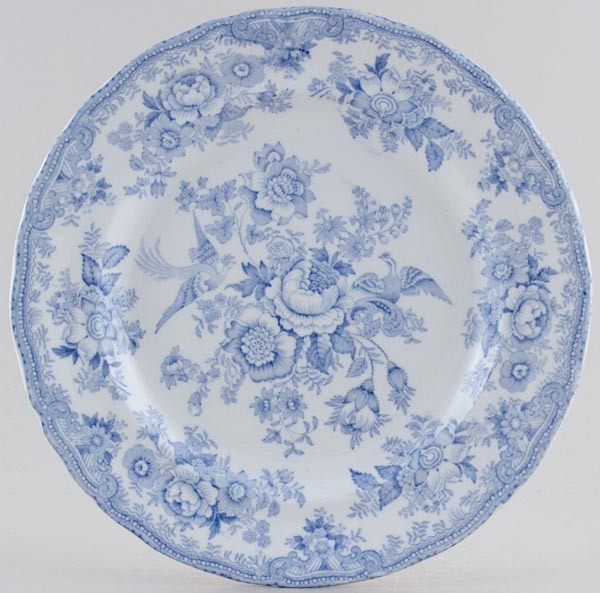 Pretty plate with gently moulded rim. Backstamp: Asiatic Pheasants Ridgways and impressed date for 1898. Some surface scratching otherwise excellent condition.